The Jews of France have been liberated for over two centuries; they have been considered free citizens and equal to their compatriots. What purpose, then, does it serve to study their citizenship today? 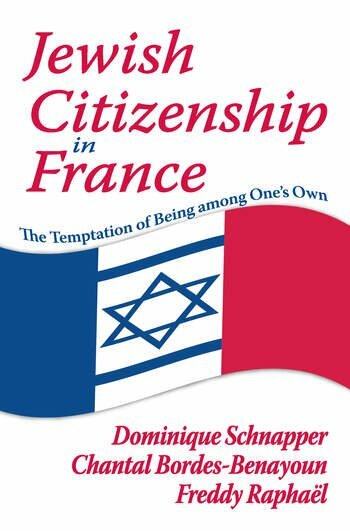 Until World War II, French Jews called themselves "Israelites;" they were deeply patriotic and had found a place for themselves in France's "community of citizens." However outbursts of anti-Semitism during that period reminded them that their new status prevented neither hate nor rejection; they had to persevere in the struggle for citizenship equity. France has not been spared from recent movements demanding recognition of particular identities in the public space. Ethnicity in French political life has become increasingly obvious, in spite of the constant assertion of "republican values." Questions about immigration, nationality, and integration are constantly in the forefront of public life. Though, in France, the existence of ethnic and religious communities is not legally recognized, certain groups are designated as separate, often creating conflicts among them.